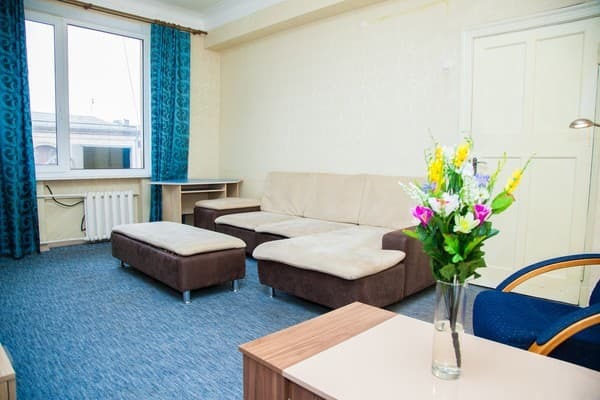 Description of the room: Cozy one-bedroom apartment of "standard" class at the intersection of Cathedral Avenue and Stalevarov Street. The kitchen is available for cooking. The kitchen has a refrigerator, microwave, gas stove, electric kettle, crockery, dining area. In walking distance the Covered Market, department store "Ukraine". The apartments are located in the heart of the city. In walking distance the Covered Market, Mayakovsky Square, the department store "Ukraine", nightclubs, banks, restaurants and cafes. It is most convenient to get to the apartment by taxi №61.